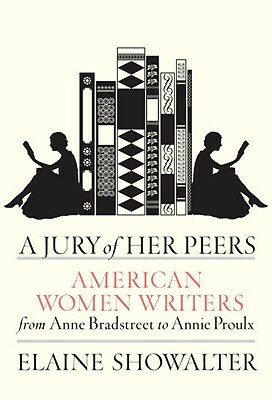 A Jury of Her Peers is an unprecedented literary landmark: the first comprehensive history of American women writers from 1650 to 2000. In a narrative of immense scope and fascination—brimming with Elaine Showalter’s characteristic wit and incisive opinions—we are introduced to more than 250 female writers. These include not only famous and expected names (Harriet Beecher Stowe, Willa Cather, Dorothy Parker, Flannery O’Connor, Gwendolyn Brooks, Grace Paley, Toni Morrison, and Jodi Picoult among them), but also many who were once successful and acclaimed yet now are little known, from the early American best-selling novelist Catherine Sedgwick to the Pulitzer Prize–winning playwright Susan Glaspell. Showalter shows how these writers—both the enduring stars and the ones left behind by the canon—were connected to one another and to their times. She believes it is high time to fully integrate the contributions of women into our American literary heritage, and she undertakes the task with brilliance and flair, making the case for the unfairly overlooked and putting the overrated firmly in their place. Whether or not readers agree with the book’s roster of writers, A Jury of Her Peers is an irresistible invitation to join the debate, to discover long-lost great writers, and to return to familiar titles with a deeper appreciation. It is a monumental work that will greatly enrich our understanding of American literary history and culture. Elaine Showalter, a professor emerita at Princeton University, is the author of numerous books, including the groundbreaking "A Literature of Their Own: British Women Novelists from Bronte to Lessing." A frequent radio and TV commentator in the United Kingdom, she has chaired the Man Booker International prize jury and judged the National Book Awards and the Orange Prize. She divides her time between Washington, D.C., and London. "Elaine Showalter brings American women writers to life in this immensely readable and illuminating literary history from the Puritans to the present. A rare combination of vivid writing, brilliant analysis and scholarly substance–engaging from beginning to end."